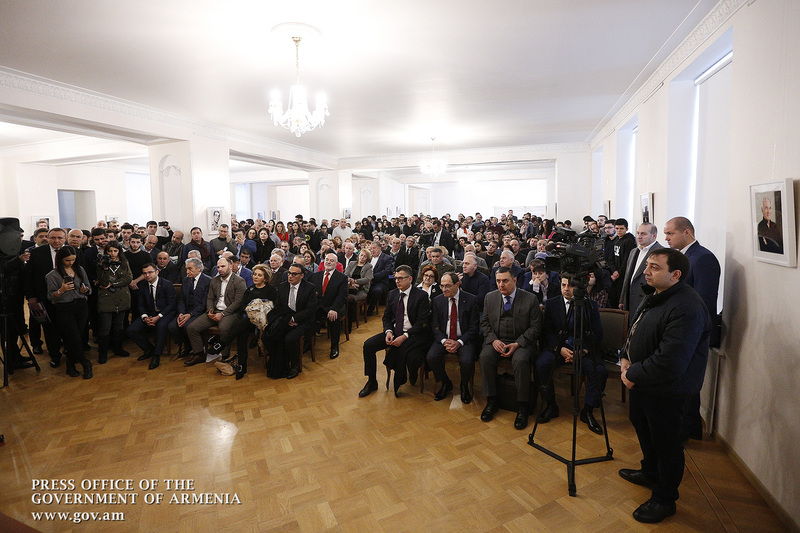 On a working visit to Saint Petersburg, Acting Prime Minister Nikol Pashinyan called at Surb Katarine Armenian Church, lit candles, and then met with the local Armenian community representatives. In his speech, the Acting Head of Government touched upon the changes and developments in Armenia, talked about migration, economy, justice and other reforms. “I am glad to note that the number of arrivals has exceeded that of departures from Armenia after the non-violent velvet revolution. I think this is one of the most important achievements of the revolution. 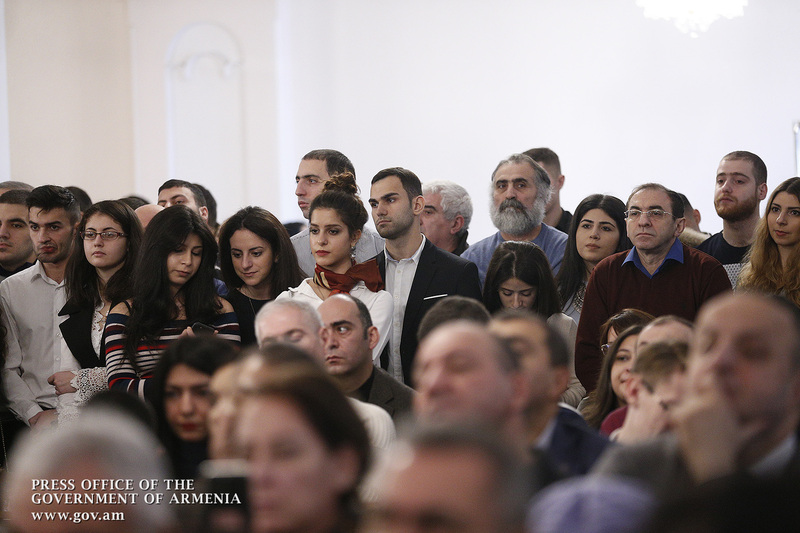 We must redouble the number of our population over the next 20 years, first of all, through economic development,” Nikol Pashinyan pointed out. The Acting Prime Minister emphasized that the government’s task is to transform the political revolution into an economic revolution, and the ongoing processes are evidencing that it will be the case. 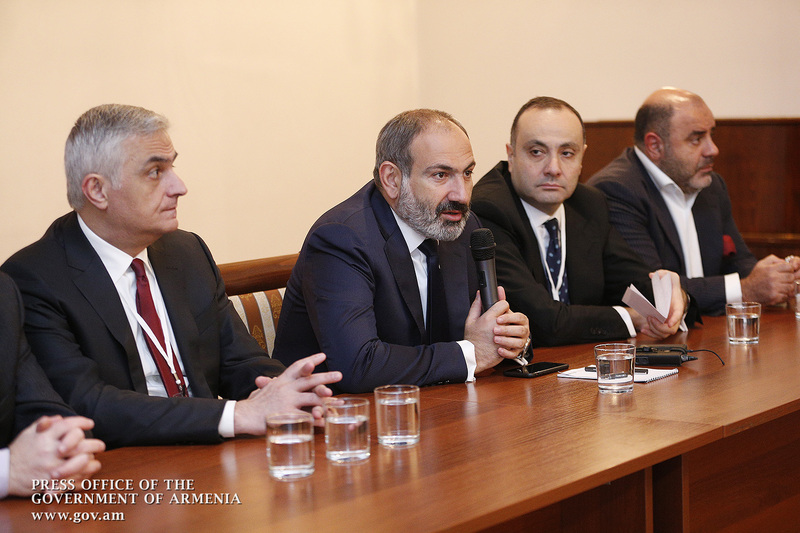 Nikol Pashinyan noted that the Government relies on Diaspora’s investment programs, inter alia. “If what is being planned now takes effect in 2019, our country’s economic image will be different. Thereby, we will take specific steps to become an industrial country. I hope you are enthusiastic about today’s Armenia,” the Acting Prime Minister said. 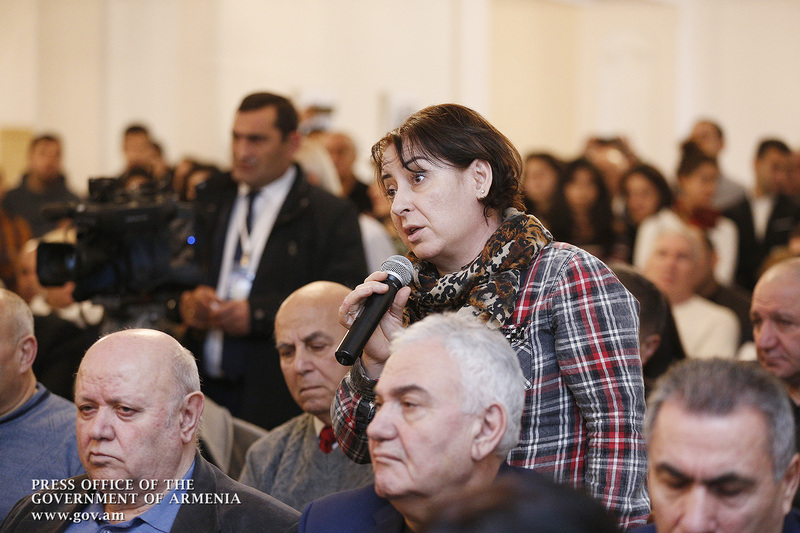 In response, many local Armenian community representatives said they were greatly inspired by the processes taking place in Homeland and are going to return to Armenia in a bid to implement various investment projects. In that context, they dwelt on Armenia’s problems related to EAEU exports. The Acting Prime Minister advised that logistical issues are high on his government’s agenda. “This is one of the most important issues discussed within the Eurasian Economic Union. 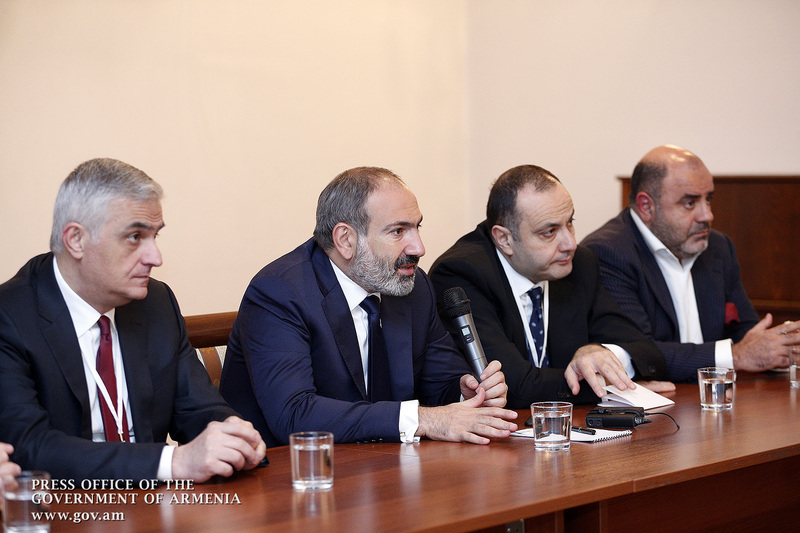 We are going to implement a pilot program that may facilitate the movement of goods: goods will not be subject to additional checks following the introduction of digital systems,” Nikol Pashinyan said as he spoke about the solution of logistical bottlenecks between Georgia and Russia, and went on to note that Armenia is keen to push ahead with this process. Nikol Pashinyan next touched upon the wiretapping of his phone conversation with the National Security Service Director. “Wiretapping became possible due to roaming because the NSS Director was in Switzerland during those days. Yesterday the second part of the wiretapping was made public, but you may remember me touching upon it in my National Assembly statement of September 12. What I told then comprised more details than the publicized phone conversation. In fact, the wiretapping proves that I was unaware of what was going on in the law-court before coming to Saint Petersburg. Generally speaking, the government has been involved in this process because our international partners, especially the special services called the NSS Director on that issue. Note that either the judiciary representative called the NSS for security concerns. Some of the phone talk is broken. I mean the portion where I wonder how come the NSS cannot provide for the judges’ safety. You may remember that about ten years ago, Haykakan Zhamanak warned that some individuals had managed to procure wiretapping devices in Armenia. A serious challenge is the availability of social groups or families more influential than the State itself. You may rest assured that this phenomenon will be eradicated. 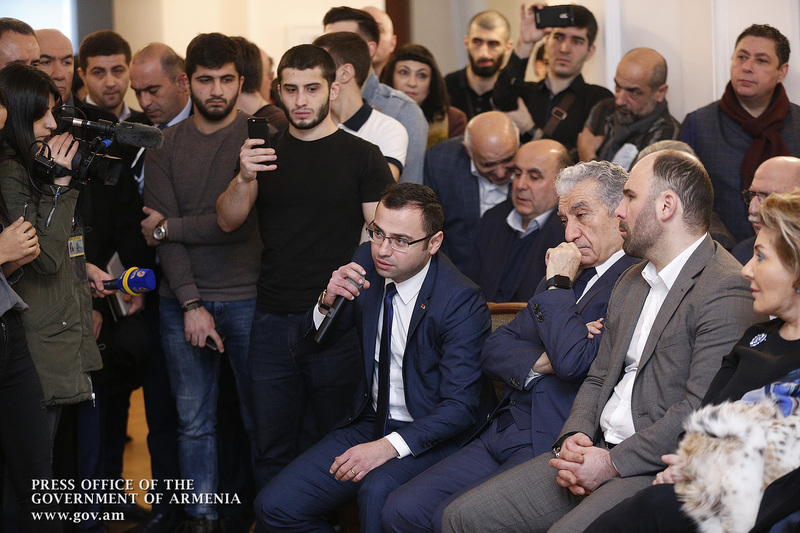 Those behind wiretapping should be revealed: I have set a relevant task before the National Security Service,” Nikol Pashinyan said. 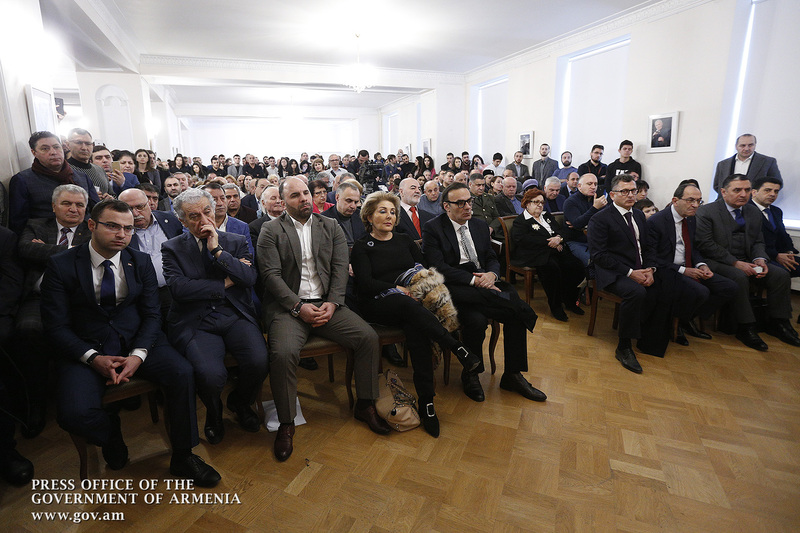 The representatives of the Armenian community expressed their concern over Nikol Pashinyan’s personal security. The Acting Prime Minister said that the State Guard Service performs its work properly. “In general, I feel safe in both Armenia and Russia. I think this is not only a security issue, maybe also the attitude of people inspires me to feel a sense of security,” the Acting Prime Minister said. 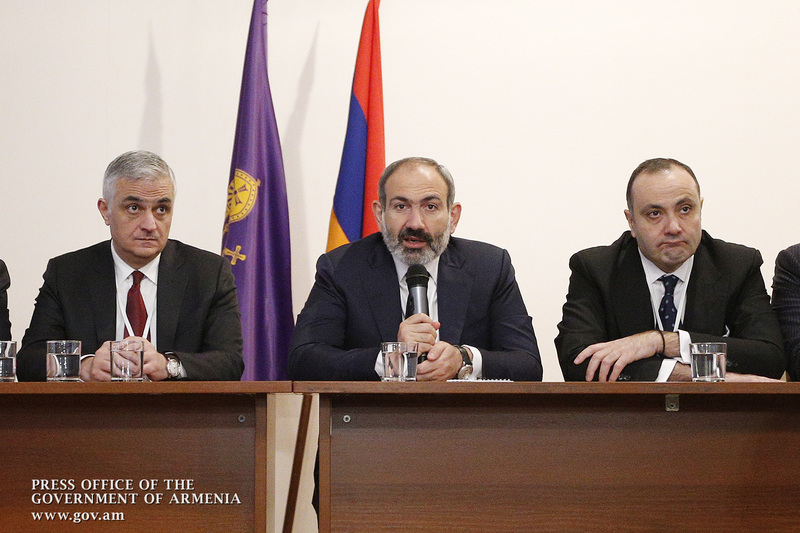 Speaking about the problems in the justice sphere, Nikol Pashinyan stressed that reform of the judicial system is one of the most important issues on the agenda of the government because it has been shaped in a well-known environment and environment. “The European Court of Human Rights has already started and will continue to publish rulings shameful for Armenia, which demonstrate the absence of an independent judicial system in Armenia. We must provide real guarantees for courts’ independence in Armenia. Today our investigative authorities are freer than ever in their activities if we mean the traditional means of influence exercised by the government. But I am not convinced that those behind wiretapping have lost their influence on the system. We have to make real changes after the elections. There is an idea to establish a court compliant with international arbitration standards in Armenia; there is such a practice in the world. We should not be afraid of revolutionary decisions if we are to make of Armenia a more favorable destination for investments,” the Acting Prime Minister stressed. 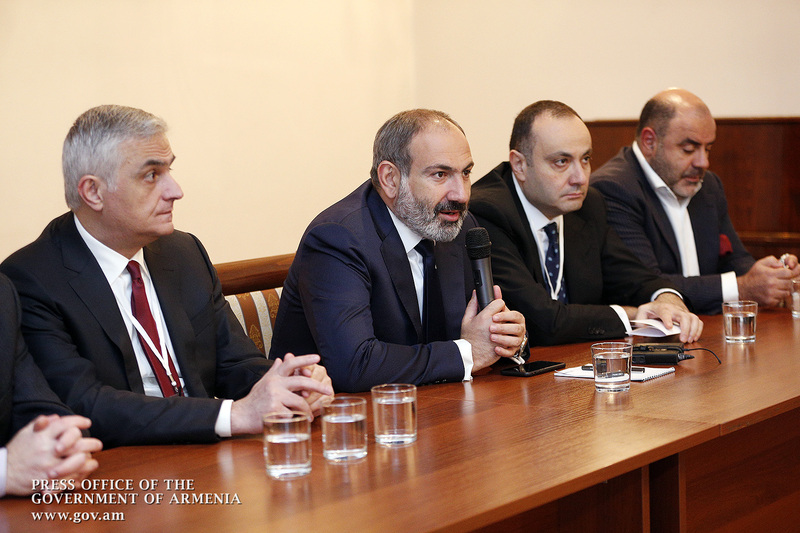 Nikol Pashinyan added that Armenian investors are showing particular interest for Armenia. “We are interested in it: our government has no business interests, which gives us the opportunity to create equal conditions for investment. It is exceptional for a political power to be free of business interests at all. Should at some point such a phenomenon be seen in our government, I hereby promise to root it out immediately,” the Acting Premier said. Nikol Pashinyan next referred to the issue of CSTO Secretary General. “This post is at best a mere occasion to talk about existing problems with the mutual obligations of member states. We want to get clear answers. No one can blame us for not fulfilling our commitments in any point. Armenia has always proved to be a loyal partner. Unfortunately, this cannot be said about all our CSTO partners. Therefore, we say let us clarify our relationships, whether we are allies or not, if we are allies, we have to fulfill all of our commitments, but we do not understand those actions, which contradict these obligations. We need to know who we can count on. I am convinced that the CSTO may counter Azerbaijan’s temptation to resolve the Nagorno-Karabakh conflict by force. Now the question is whether the CSTO is going to apply the relevant tools or not. This is a matter of strategic importance for us. The question of the Secretary-General is a secondary, tertiary issue. Let there be a representative of Belarus forever, but our mutual obligations need to be honored,” Nikol Pashinyan said, adding that there are serious questions about the vision of the CSTO countries regarding the Nagorno-Karabakh conflict, or how it stems from the nature of the strategic partnership. The Acting Prime Minister added that we should understand our environment as a people. “Once we have clarified our relationship in the context of these issues, I can guarantee that there will be no wrinkles in our relations. 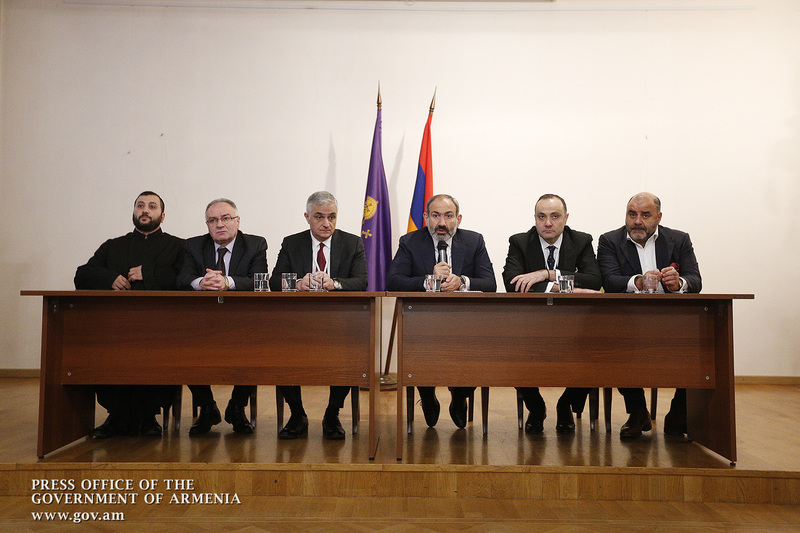 We do not need a formal status; we have mutual obligations that should be fulfilled,” Nikol Pashinyan emphasized.